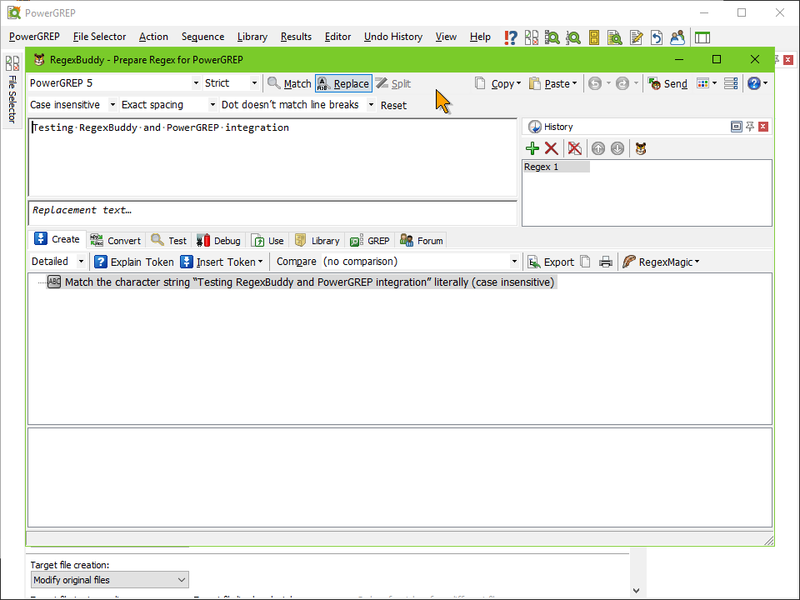 This video shows you how tightly PowerGREP integrates with RegexBuddy. Use RegexBuddy to easily create regular expressions with plain English building blocks or to test and debug regular expressions in a safe sandbox. This demo shows how easy it is to invoke RegexBuddy from within PowerGREP. Check out RegexBuddy's web site for demos showing what RegexBuddy can do for you.